Frozen foods may make you think of pizza bagels and ice cream, but these six frosty bites prove there are nutritional winners in the frozen-food aisle! For the most part, the morgue-like frozen food aisles at the supermarket should be approached with more caution than last week's mystery meat in the back of your fridge. Populated by sodium-tsunami pizzas, treats packed with sky-high amounts of sugar, and boxed entrees with a double-cheeseburger's-worth of calories and fat, you can easily get burnt if you fill your grocery cart with the wrong icy picks. But behind those ubiquitous glass doors are a few items that offer up impressive nutritional benefits, not to mention some serious time-saving potential in the kitchen. You just have to know what to look for among the sea of gut-busting, nutrient-free dreck. That's why I'm here to help make your trip to the frozen-food aisle more affable to your six-pack. These six subzero heroes go way beyond Hot Pockets! By now you should know that brown rice trumps white rice when it comes to nutrition, providing an extra dose of vitamins, minerals, and appetite-suppressing dietary fiber. But after a long day at the office or a killer workout, you may not always have the energy, time, or patience to rustle up a pot of slow-cooking brown rice. 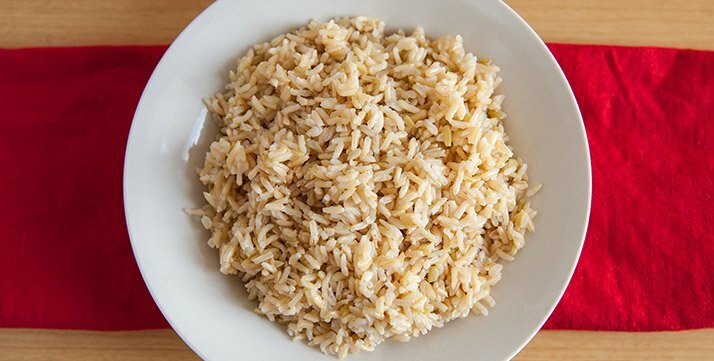 By now you should know that brown rice trumps white rice when it comes to nutrition, providing an extra dose of vitamins, minerals, and appetite-suppressing dietary fiber. That's why packages of frozen, precooked brown rice such as Birdseye or Trader Joe's can be a godsend when it comes to putting a healthy meal on the table in record time. Most brands involve little more than a couple of minutes in the microwave to produce perfectly hot and tender grains. Try this: For a lightning-fast meal, prepare frozen brown rice according to package directions, then toss with sliced cooked rotisserie chicken, some frozen prepared vegetables like broccoli and corn, and a few splashes of soy sauce. When it comes to a trip to the fishmonger, frozen swimmers are often considered a less-worthy protein option than their fresh counterparts. But there's one catch of the day that's often sold in frozen form you definitely shouldn't give the cold shoulder: barramundi. Barramundi is a white-fleshed, freshwater fish native to Australia that's been recently introduced to the American market by Massachusetts-based Australis Aquaculture as a great alternative to salmon, snapper, and tilapia. There's one catch of the day that's often sold in frozen form you definitely shouldn't give the cold shoulder: barramundi. Like salmon, barramundi contains a wealth of muscle-friendly protein and omega-3 fats, which have been linked to a slew of health and physique benefits. As a nice bonus, levels of nasty contaminants such as mercury and PCBs are not detectable in farm-raised barramundi. What's more, Australia's farm-raised barramundi has landed on the "best choices" list of the Monterey Bay Aquarium Seafood Watch program, owing to the fact that the fish is grown in a manner that utilizes a vegetarian-based diet and minimizes the impact on the environment. Besides these perks, barramundi whets appetites with a buttery flavor that is not at all fishy. Oh, and the dirty little secret of much of the "fresh" fish on display at the seafood counter is that they were previously frozen—often at sea or at an onshore processing plant shortly after being caught—and then thawed for sale. 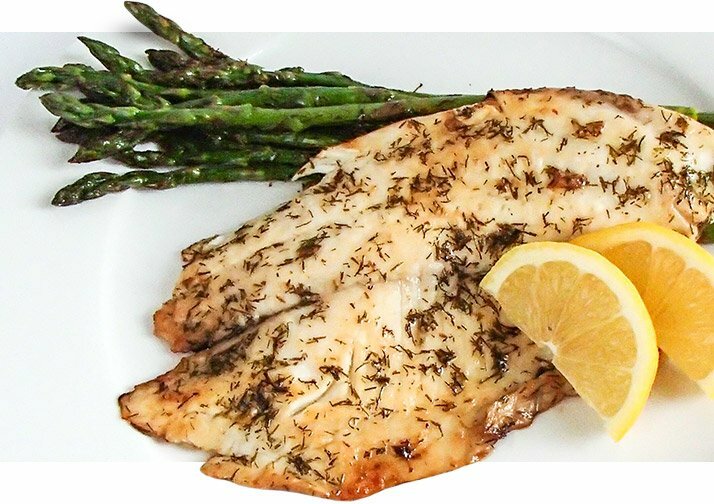 Try this: Season thawed barramundi fillets with salt and pepper. Grill fillets for 3 minutes per side, or until just opaque in the thickest part. In a bowl, toss together chopped avocado, chopped orange, diced red bell pepper, halved cherry tomatoes, sliced scallion, and fresh lime juice. Serve grilled barramundi with avocado-orange salsa. From core-carving benefits to increased nutrient intake, there are many reasons why breakfast is deserving of its "most important meal of the day" moniker. But in today's hurry-up lifestyle, more people are increasingly strapped for time when it comes to serving up a balanced daybreak repast. That's why it can be a good idea to stash a box of frozen waffles in your ice box; they can serve as the foundation of a quick breakfast meal, making it a lot less tempting to simply grab a calorie-bomb muffin from your local coffee shop. 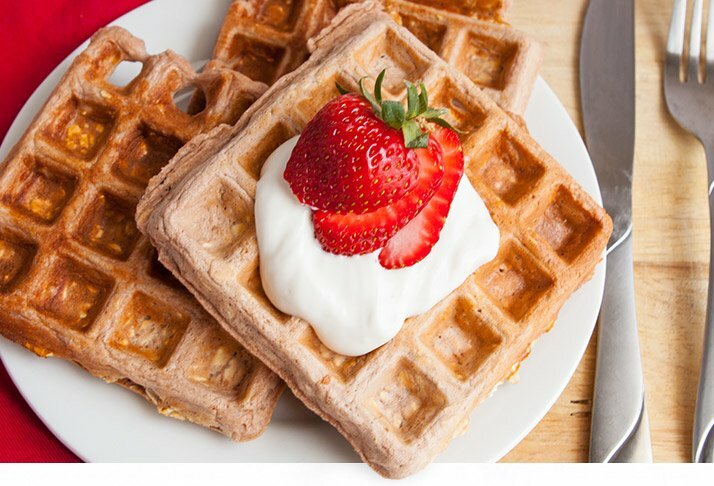 It can be a good idea to stash a box of frozen waffles in your ice box; they can serve as the foundation of a quick breakfast meal, making it a lot less tempting to simply grab a calorie-bomb muffin from your local coffee shop. While frozen waffles can provide a source of energizing morning carbohydrates, you want to make sure you select a brand that uses whole grains for a more nutrient-dense, lower-glycemic product. You can do this by flipping over the box and making sure the first ingredient is something like whole-wheat flour or brown rice flour. And don't douse it in corn syrup masquerading as the real stuff tapped from maple trees. Try this: Forgo the sweet stuff! Rise and dine on a prepared frozen waffle topped with sliced avocado, a sunny-side-up egg, and a dash or two of hot sauce. As with fish, there's no reason to be "fresh obsessed" when it comes to vegetables. Frozen veggies such as Popeye's favorite green can actually be more nutritious than fresh. 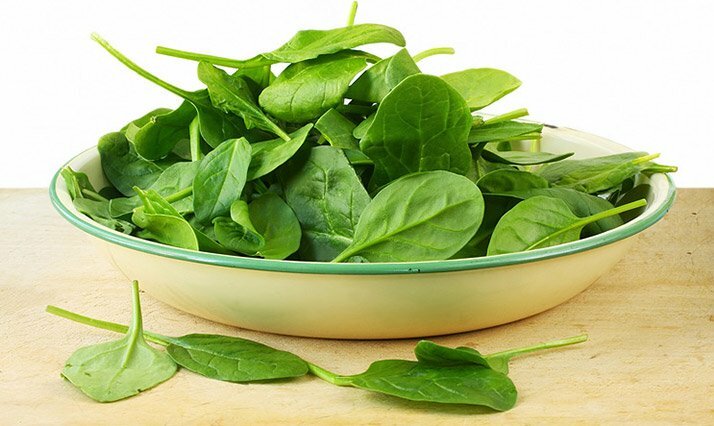 That's because spinach and its ilk are often frozen immediately after they're harvested at peak ripeness, so they don't suffer the nutritional losses that can occur in fresh produce on the long trip from farm to supermarket. Frozen veggies such as Popeye's favorite green can actually be more nutritious than fresh. Frozen spinach can also offer a more budget-friendly option than what's sold fresh in plastic clamshells. Preliminary research from scientists in Sweden suggests that the consumption of nitrate—a chemical naturally found in the leafy green—may be able to increase muscle strength by elevating levels of proteins involved in muscular contraction.1 So go ahead and work more frozen spinach into soups, scrambled eggs, dips, and even smoothies. Try this: Up your smoothie game by blending together 1 cup water, 1/2 cup plain Greek yogurt, 1 scoop plain or vanilla protein powder, 1 green apple, 2 tablespoons ground flaxseed, 1 tablespoon fresh lemon juice, 1/4 teaspoon ginger powder, and 1 cup frozen spinach. Few fruits scream summer like deliciously sweet cherries, but once local varieties have bid adieu, it's unlikely you'll find anything fresh in the produce aisle that even remotely matches up. That's why, when the snow begins to fly, it's time to embrace frozen cherries that are already conveniently pitted for you. 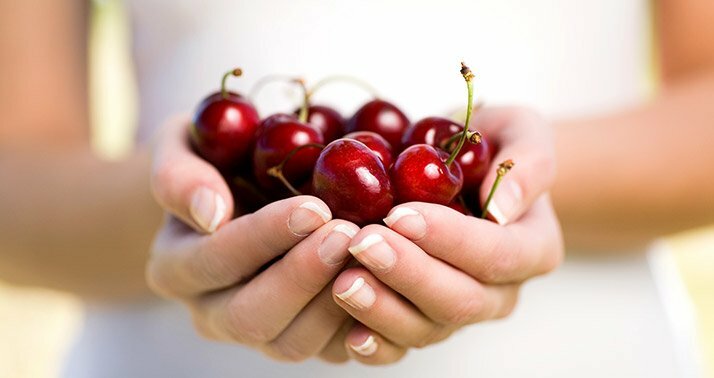 The rapid freezing process of cherries seals in their great flavor and nutritional bounty that includes antioxidants, vitamin C, vitamin K, calcium, and magnesium.2 If you find them, frozen tart (sour) cherries are particularly beneficial to fitness-minded individuals, since these pucker-worthy fruits are packed with antioxidants shown to bolster workout recovery by quelling muscle damage and inflammation. The rapid freezing process of cherries seals in their great flavor and nutritional bounty that includes antioxidants, vitamin C, vitamin K, calcium, and magnesium. The high polyphenol content of tart cherries wreaks havoc on inflammatory pathways, which can play a role in the onset of numerous chronic diseases.2 As with all frozen fruits, make sure the cherries you choose are not packed with any sweeteners. Try this: In a small bowl, whisk together 2 tablespoons extra-virgin olive oil, 1 tablespoon balsamic vinegar, 1 teaspoon grainy mustard, and salt and pepper to taste. Toss together salad greens, sliced prosciutto, sliced pecans, and a handful of thawed frozen cherries. Drizzle vinaigrette over top. Few foods will blow up your physique quicker than greasy french fries. But you can still have your fries—and eat them, too!—if you use your oven to crisp up frozen sweet-potato fries provided by brands such as Alexia. 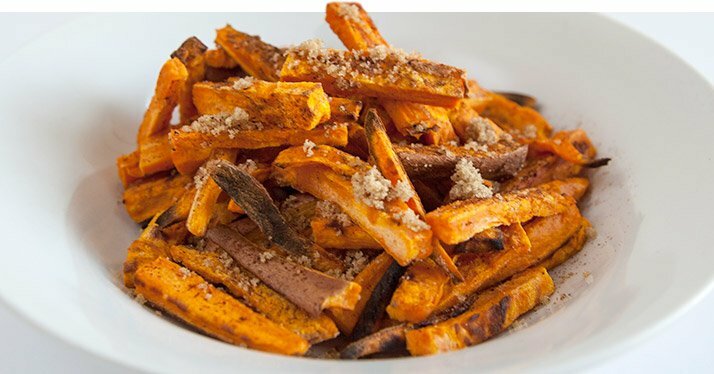 With only about 5 grams of fat per serving and much less sodium than what's on offer from the drive-thru, sweet and savory sweet-potato fries are a physique-friendly alternative. You can still have your fries—and eat them, too!—if you use your oven to crisp up frozen sweet-potato fries. Additionally, sweet potatoes supply a wallop of beta-carotene, which is converted to vitamin A to improve immune health, so you can spend more time on the gym floor than in bed with the sniffles. Try this: Try a healthy version of a fast-food combo by preparing sweet-potato fries according to package directions and serving alongside a DIY beef or chicken burger and an assortment of vegetable toppings. Hold the doughy bun! Hernández, A., Schiffer, T. A., Ivarsson, N., Cheng, A. J., Bruton, J. D., Lundberg, J. O., ... & Westerblad, H. (2012). Dietary nitrate increases tetanic [Ca2+] i and contractile force in mouse fast?twitch muscle. The Journal of Physiology, 590(15), 3575-3583.